EAE Business School specializes in higher education, with tuition programs including the Executive MBA, Masters and Bachelor Degrees, with 60 years’ experience training successful professionals. 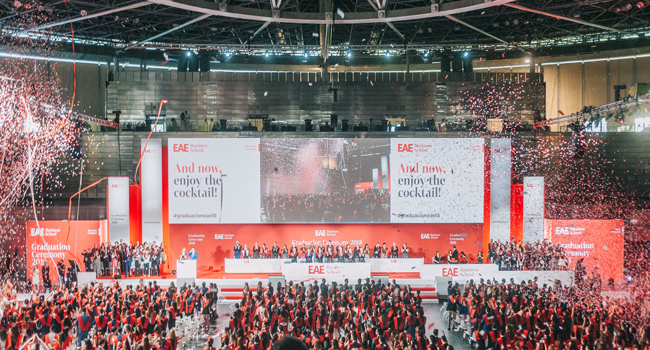 More than 73,000 directors and executives have trained at EAE. Our key mission in training professionals and leaders of national and international companies with programs and masters characterized by a large dose of practical, student-oriented contents. 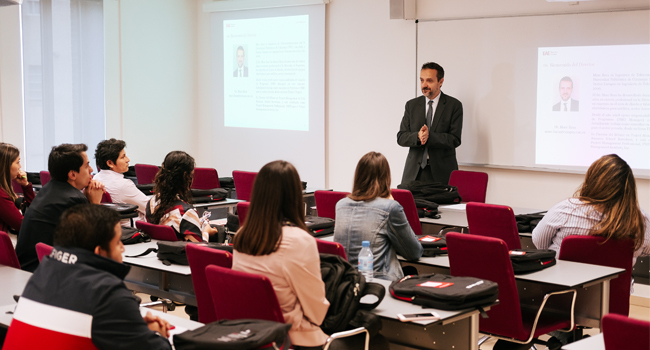 EAE Business School’s success is underpinned by continuous communication with students, teachers, and partners all around the world, enabling the School to guarantee a rigorous level of educational quality. The high standards of quality that we implement at EAE Business School has earned us accolades in the most prestigious national and international rankings. EAE is a member of the most highly-respected national and international rankings organizations, such as the AACSB (Association to Advance Collegiate Schools of Business), EFMD, (European Foundation for Management Development), CLADEA (Latin American Council of Administration Schools), EBEN (European Business Ethics Network) and EMBAC (Executive MBA Council). Moreover, our programs are certified by the PMI (Project Management Institute) and CSCMP (Council of Supply Chain Management Professionals), as well as by the ANECA and AQU. Our most pressing yet most motivating challenge is to continue being an international business school capable of training professionals equipped to lead organizations sustainably. EAE embrace its social commitment to continue overcoming challenges in the field of personal and executive training. EAE has academic and institutional partnership agreements in place with 65 business schools and universities. Our partners are spread across 22 countries. Moreover, the School has more than 3,500 partnership agreements with Spanish and international companies, which enables our students to take advantage of a prestigious employment exchange after their studies. After completing a Bachelor or Master Degree, it is extremely advisable to do an in-company internship to apply the knowledge acquired. With this in mind, EAE gives its students access to internship opportunities after their studies. In 2016, the School welcomed students from 102 different countries from all 5 continents. In addition, 37% of EAE’s academic faculty is international. In view of the global nature of business studies, there is an ever-increasing number of EAE Masters run in English. Our agreements with universities such as Pace University New York, Amsterdam University of Applied Sciences and the Universidad Anáhuac Mayab de México give us even closer links with international students. This year, EAE has upheld its firm commitment to research. Our teachers have produced a high output of academic research, papers, case studies, books, and dissemination articles, contributing management knowledge to the community. In addition, we have participated in several international conferences, where we have shared this knowledge.